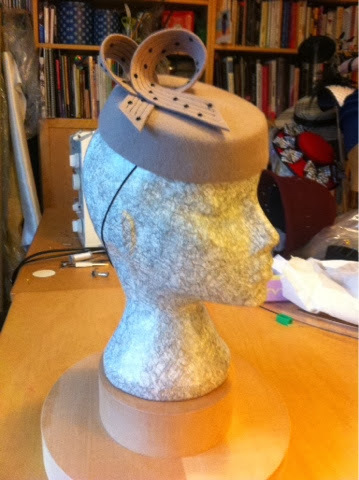 Despite more wretched IVs the hatting for the craft fair at the end of November continues, well, as much as I can manage! I had blocked this burgundy felt in my last blocking frenzy and its been sitting about waiting for the embroidered decoration to be finished and applied. 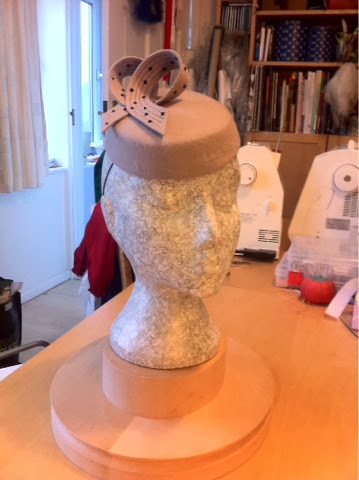 The embroidery is another of my slightly art nouveau inspired scroll work designs, similar to the ones I used on the large cerise sinamay hat I made a few months back. Instead of using a contrasting colour for the embroidery this time I decided to use as close a colour match as possible to make the deign more subtle and more suitable for everyday wear. With November fast approaching I am trying to finish off as many of my designs as possible for the craft fair on Nov 30h. 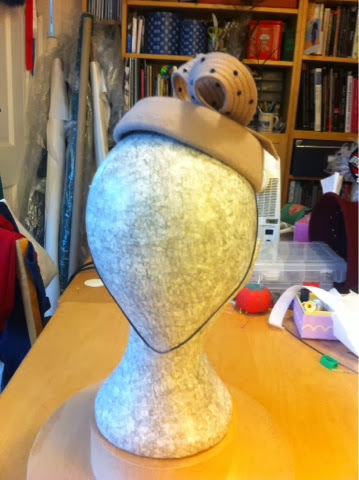 I actually blocked the base of this hat a couple of months ago when I had decided to block another cloche and then went a bit nuts and blocked another three small hats as well. 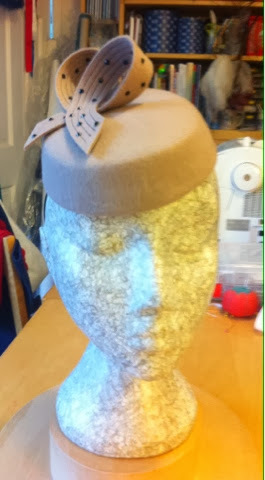 With an eye to selling it I wanted to try and keep the decoration as elegant and simple as possible, so I played about with the excess felt left from blocking the base until I had a sort of looped bow that I liked. It was a bit too plain as it was so I added the lines of stitches. 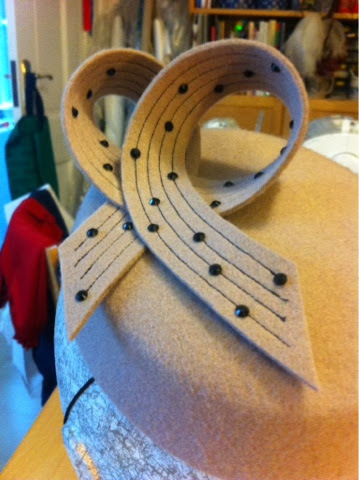 It wasn't until I added the Swarovski crystals that I realised how much it looked like a music stave, except that is only has four lines instead of five- next time I will definitely do five lines and add some more embroidery to turn it into music! Only four lines, next time I'll do five!